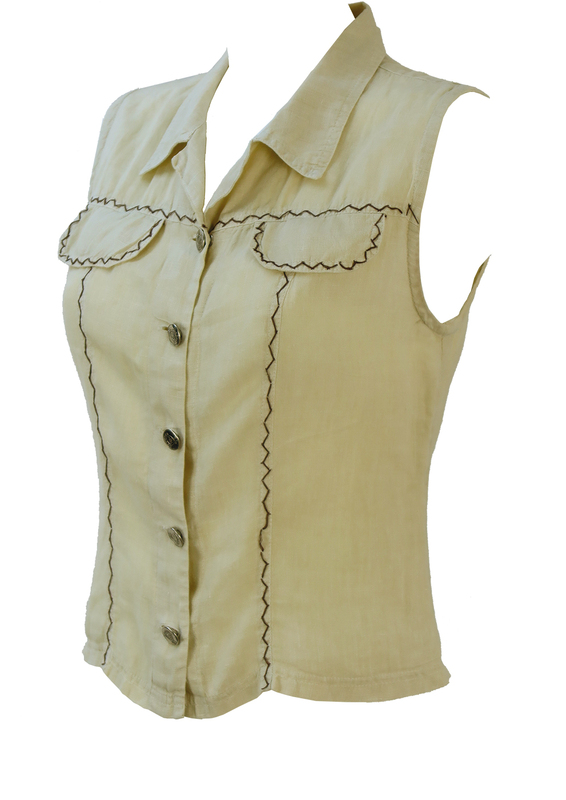 Cream linen sleeveless blouse with lovely design touches that include brown zig zag stitching that features at the front, faux front flap pockets and metallic buttons. 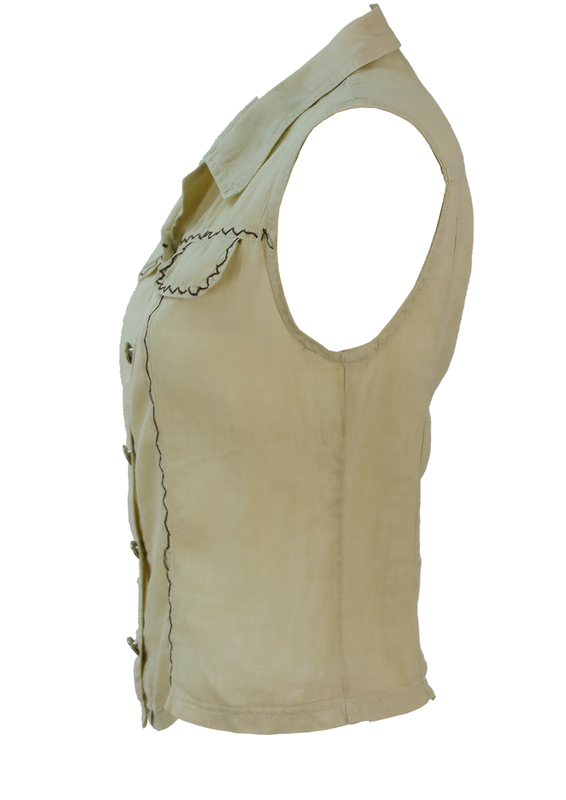 The blouse is slightly shorter at the back than the front and length measurements have been provided for both the front and back. 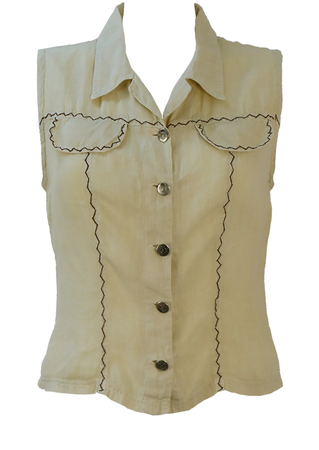 The fabric label has faded, however the blouse has a linen feel to it and is in great condition. 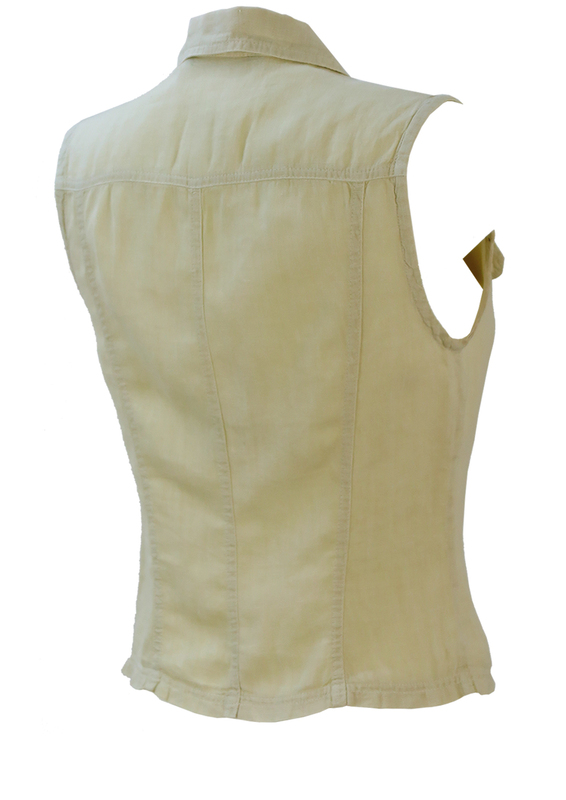 Back – 19.5", Front – 20"